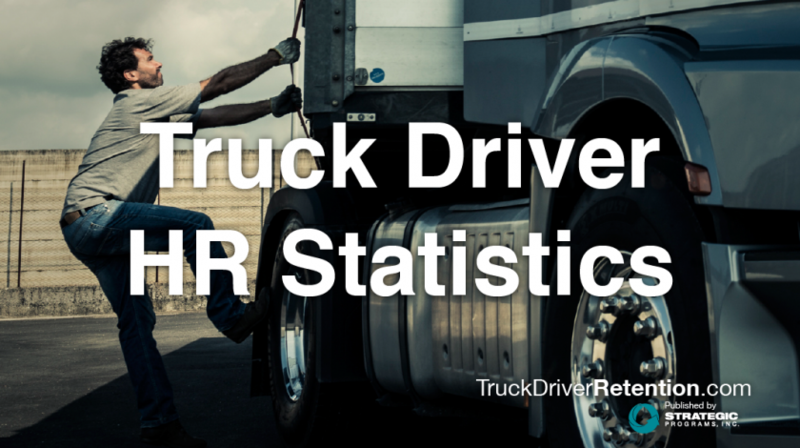 There are plenty of advantages that convince people to take command of an 18-wheeler as a career. High pay, great benefits, short and inexpensive (sometimes reimbursed) training, and the freedom of the open road. On the contrary, one of the often overlooked disadvantages of becoming an over-the-road (OTR) driver is the health risk. According to the American Transportation Research Institute, Driver Health and Wellness is among the top 10 critical issues of the trucking industry for the 4th year in a row. According to the Virginia Tech Transportation Institute Center for Truck and Bus Safety, there’s plenty of cause for concern. Erin Mabry, a senior research associate at the Institute, stated that the average American lifespan is 78, however, that number plummets to 61 for OTR drivers. Among the culprits contributing to poor driver health are poor nutrition and obesity, irregular sleep patterns, long sedentary hours in a truck, stress, and too much time alone. Getting their hands on nutritious foods readily is not a luxury most drivers have. Finding healthy, whole foods can be tough for anyone. But OTR drivers have the additional challenge of finding an exit at the right time, with places that offer healthier options and have adequate truck parking. Most of the foods available at truck stops are processed convenience foods laden with fat, sugar, and sodium. Drivers are trying to stay on schedule to make appointment times, and moving means money. It’s no wonder they end up choosing the quickest, easiest options available. These foods have contributed to obesity among the driver population. Results published in the American Journal of Occupational Medicine indicate that over 69% of the drivers they surveyed had a body mass index (BMI) of 30 or higher, with 17% of them having a BMI of 40 or higher. A BMI of 40 is considered morbidly obese. The American population is roughly 33% obese, with around 7% being morbidly so. Obesity can increase the chance of type 2 diabetes, cancer, heart disease, and stroke. Obesity contributes to more than just diabetes and heart disease, it can also cause irregular sleep patterns. One way this can occur is when drivers suffer from sleep apnea, a condition in which someone stops breathing while they’re asleep, sometimes up to several hundred times per night. People who suffer from sleep apnea often experience excessive daytime fatigue, which is extremely dangerous for drivers since this can cause them to fall asleep at the wheel, sometimes for up to 30 seconds at a time. Sleep apnea can also lead to more serious health conditions like heart failure or stroke. Most drivers are sedentary around 23 hours per day, meaning outside of refueling their trucks and their bodies, they typically aren’t getting any other physical exercise. Statistics also show that 51% of the driver population is reaching for cigarettes, while among the general population, about 19% of people smoke. Like poor nutrition, smoking also increases the chance of heart disease, stroke, type 2 diabetes, and cancer. Long hours in a truck with a seemingly large amount of freedom can be misleading. Drivers are under a lot of pressure to make their pick-up and delivery appointment times, stay loaded, and stay safe. There is also the added stress of missing home and not being there to take care of their families. Being alone so much without anyone to talk to about personal or work relationships, along with high stress, can fuel depression. Studies show over 26% of drivers battle with depression, as well as other mental health disorders. Depression among drivers is a very real problem, but one that is often overlooked in a group that already suffers from so many occupational-related health risks. How can we support and improve the health of the most important asset trucking companies have? There are a number of lifestyle changes drivers can be encouraged to make. Unfortunately, many drivers feel that the industry doesn’t support better driver health. There are, however, companies that have taken great strides to implement health and wellness programs. Several carriers have occupational health professionals available to work with drivers who stay abreast of what is going on with driver physical and mental health. Prime, Inc., a carrier out of Springfield, MO, holds a Fittest of the Fleet competition that has drivers finding all types of creative ways to stay in shape on the road. Some truck stops have begun adding gym equipment, and there are a few carriers who have outfitted their terminals with exercise machines, weights, and even trainers who work with drivers on fitness routines and diet planning. Monitoring drivers’ physical and mental well-being is a way companies can take ownership of the risk drivers face. Companies can start implementing a routine wherein at mandatory rests, drivers take that time to get some physical activity, like going for a run or taking a brisk walk. Some drivers have found success in carrying equipment with them such as folding bikes, jump ropes, resistance bands, exercise mats, and weights. Another change that makes a big difference is traveling with a cooler filled with healthy snacks. Making a point to stop at large retailers with adequate truck parking to stock up on foods like Greek yogurt, nuts, fruit, granola bars, raw vegetables, and plenty of water, is a great habit to start. Additionally, pre-planning where to find nutritious meals when they’re stopped helps drivers make better choices. It’s not always enough to have the tools available, however. What’s more important is the understanding and belief that they are in control. Being empowered with the knowledge that their results are up to them, is the final step in lasting change. Some drivers utilize a food and exercise log or journal to help them track where they’re at. The process of seeing where they’ve been, and where they’re going, puts the control of their lives back in the drivers’ hands. By educating healthier lifestyle choices, providing health screens and programs, and offering ways to stay active on the road, companies can not only positively impact the wellbeing of their drivers but also improve their engagement levels, leading to improved retention rates. The result is happier and healthier drivers, reduced costs and fewer safety issues for the company, and a win-win for everyone.